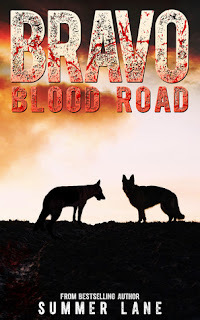 Today I am going to be sharing with you an interview with Summer Lane about her new book Bravo: Blood Road! It was released yesterday so happy release week! Bravo and his beloved handler, Lieutenant Nathan Ingalls, are together again amidst the ashes of an apocalyptic California. Together, they are using their skills to help a rebel militia group seek out survivors in the desolation of Death Valley. But when the Death Brigade – a vicious anarchist group arisen from the dust of a fallen society – rolls into town, tragedy strikes. Someone is taken. Neither Nathan nor Bravo will allow that. The hunt is on – Bravo will not fail in his task to protect his friends. Rescuing the people you love sometimes comes with a price. When Bravo and his friend, India, are taken to Blood Road, they are forced to fight for their lives in a terrifying and vicious society of gambling, deceit and violent entertainment. Alone and afraid, Bravo is forced to fight for his life every day in an arena while cruel spectators make bets on the odds of his victory. His only allies in this dark place could perish as suddenly as he could. The bonds of friendship are tested, and the agonizing teeth of loss sink their fangs deep. Life or death. Fight or flight. Bravo must choose. And now, the Blood Road will wreak its vengeance. If you could live the life of any one famous author of history, who would it be? I’m not really sure, although it would be interesting to see what Jane Austen’s life was like, or Charlotte Bronte. It would be a fascinating adventure to live the life of Jack London. He was an explorer and gold prospector, so I imagine he had many colorful experiences during the 19th century. Quite frankly, I became a writer out of necessity. At the time that I started writing, I didn’t have a lot of options, I didn’t have any money, and I couldn’t afford an education. The only thing to my name was a laptop and a Microsoft Word program. That’s it. I thought, “How can I turn this into a career that supports me?” More than anything, I wanted to be completely and utterly self-sufficient. So I started writing. I started selling my work, and then I started selling my novels. It began as a rather desperate struggle to survive, and now it’s fun! I can do the things that I want to do in life, and write the stories that I want to write and share them with the world! Yikes! I can’t imagine my life without writing! But I have a good imagination, so here we go: if I was not a writer, I would be either a teacher or a zoologist. I would love to work in the outdoors with animals, or possibly even something with the forestry service in California. I love the wilderness. Imagine that you are casting the movie for your books. What actors play which roles? Hmm, good question. The Collapse Series has several core characters at its heart, and I can think of a few actors that I could see playing the main roles: Shailene Woodley as Cassidy Hart, Chris Hemsworth as Chris Young, Tom Hiddleston as Harry Lydell, and Jon Bernthal as Uriah True. When it comes to Bravo, though, it’s all about finding the right dog, and the right actor to play the part of his handler, Nathan Ingalls. Are there going to be any more Bravo books? No. The Bravo Saga will cap at two books, although you will see more of Bravo in The Collapse Series and The Zero Trilogy. He may even pop up again sometime…but that’s all I can say about that! Summer Lane is the #1 bestselling author of 14 novels, including books from the hit Collapse Series, Zero Trilogy and Bravo Saga. 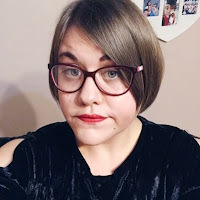 She is the owner of WB Publishing and Writing Belle, an online magazine devoted to the art of storytelling. 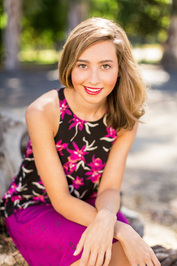 Summer is also an accomplished creative writing teacher and experienced journalist. She lives in the Central Valley of California with her husband, Scott, where she spends her days writing, teaching and writing some more. Summer loves to visit the mountains (nature rocks! ), the beach (Hawaii is heaven) and have hot cups of tea with good friends (tea is always a good idea). She also loves dogs and traveling!